15: It’s been a long season, especially in the US, how has it gone for you, have you hit your pre-season goals? Mika: I would say for the most part yes. 15: You’re gonna have to give us more than that … what were your expectations, goals, hopes, way back at the start of 2018? Mika: As far as the USA BMX series. My goal was to finish in the top 4 for the year and to make it on a few more podiums than I did. Came up a little short from those due to injuries. World Cup goals I believe were to make it to the semis, which I made 3 and a main. 15: Is the Grands your last race this year? What are your expectations going into that? For those of us who’ve not yet made it to the Grands, how does it compare to a World Championships for example? Mika: Unfortunately, I will not be competing at Grands this year. It’s a hard bite to swallow but I had a crash in Florida that ended with a broken hand. My coach, Cristian Becerine, and I decided it would be in my best interest to give my body the proper time to heal this go around and prepare for next season. Grands is definitely a race to experience if you have not. I would say Worlds and Grands are both intense … but different. 15: Was it a training or race crash in Florida? What’s the prognosis with your hand, how long are you side-lined for? Mika: It was in Thursday night practice before the National. I have two fractures, one in my middle knuckle and one in my wrist. I have 3-4 more weeks in a brace. 15: Earlier this year you travelled with Team USA to the Euro rounds of the UCI SX Series, was that your first time racing the series in Europe? What was the experience like? How’d you do? Mika: This was my first year traveling to World Cups. It was an amazing experience and a whole other level of racing. 3 Quarter finals, 2 Semis and 1 Main. 15: What was your impression of the Euro tracks when compared to the ones you regularly ride back home? Mika: I enjoyed the Euro tracks some of them were a little more challenging here and there but the more tracks you ride I feel like they all start to have some similarities. 15: Did you prefer the likes of Papendal which is big and wide open or Zolder … tighter, smaller but more tech? Mika: That’s a hard one I enjoyed both tracks as they both brought their own challenges. Mika: They have criteria that you have to meet. Depending on results I believe it’s still pretty much open to all eligible riders. I made the team by making the semi-finals at worlds last year. They have three separate levels of ‘membership that defines the benefits you receive. 15: What’s the plan for next year, will we see you at more international events? Back to Zolder for the Worlds? Mika: That is my plan and what I will be working towards. 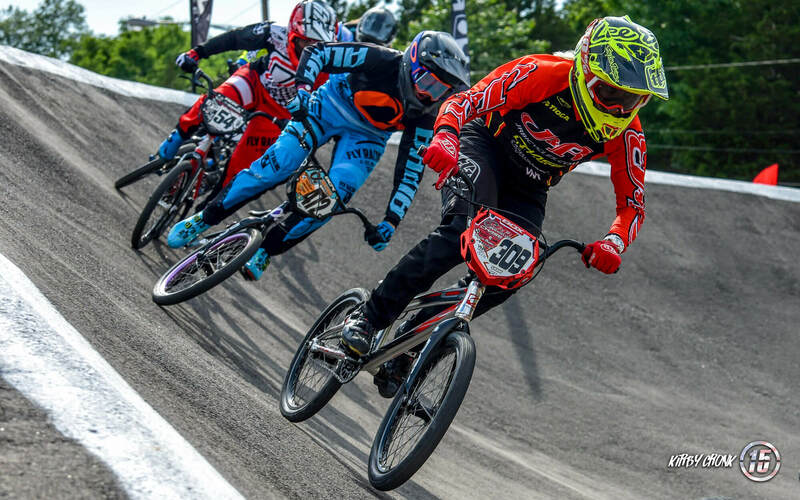 15: BMX Racing, or maybe it’s just on Facebook, always seems to stir up controversy … and in that vein, it looks like USA BMX may follow the UCI with the under 13 years clip ban … thoughts? Good, bad, who cares? 15: Crazy that they are banning them or it’s been a crazy reaction? Do you spend much time riding on flats anymore? Mika: Crazy that they are banning them, if I’m being honest, I didn’t even know that was happening … Not as much as I should. I really do like practicing technical skills with flats. 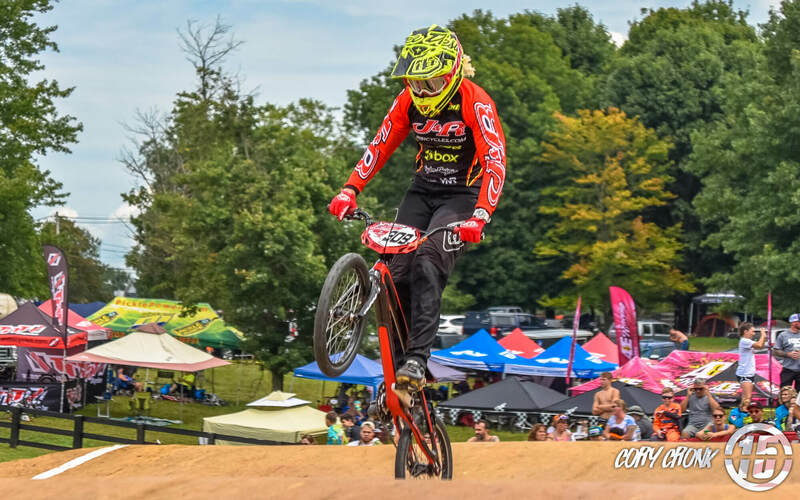 15: What’s the long-term goal for Mika Shaw in BMX racing? Mika: To score a spot on the Olympic team. 15: You’ve recently finished Massage Therapy School, congratulations! Where is that going take you in the future? After your racing career are we going to see you travelling with Team USA in a support role? Mika: Who knows I think that could be fun. I enjoy the more structural type of Massage Therapy and want to lean towards working with athletes. 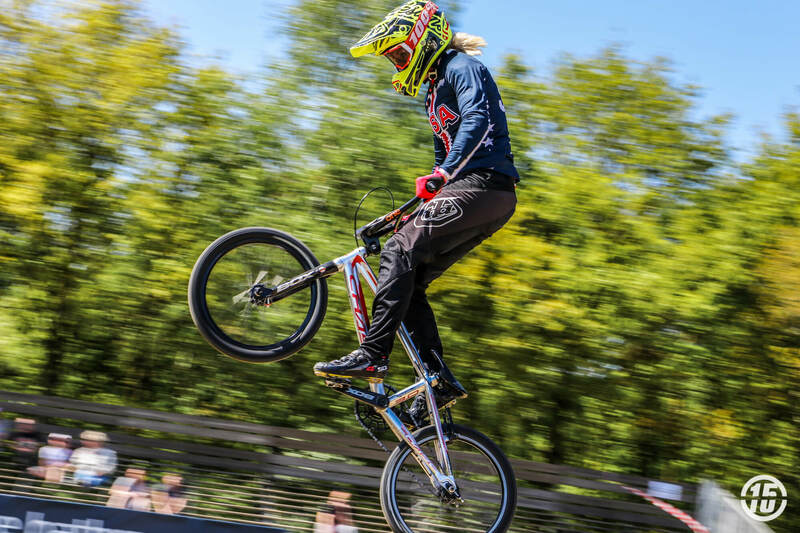 15: A hard one to finish but … if you could change one thing in BMX what would it be? Impressive, stay injury free if that’s even possible! Mika, you’re an inspiration to more riders than you know. Heal up and have a great 2019 season. Hang tough Smoke! Love ya!